The Father Mazzuchelli Society has published two books. Both books are priced at the lowest possible price intended to generate zero royalties. I cannot see who is buying the books, by the way. You can also read these for free on this website! Born in Milan, Italy, Samuel Mazzuchelli (b. 1806, d. 1864) joined the Order of Saint Dominic and while still a teenager asked to be sent to the American mission territories. 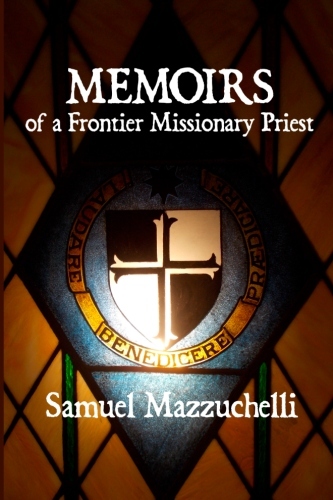 As a freshly-ordained priest of 22, Father Mazzuchelli was sent to the frontier outpost Mackinac Island in northern Michigan. Humility, warmth, evangelical poverty, manly courage, industry and zeal made him exactly the right bridegroom for the vast “parish” territory he was assigned, which initially also included all of Wisconsin and parts of other states. Right away he was rebutting the local Calvinist preacher and winning Catholics back to the Faith. He soon organized construction of the first Catholic church in Wisconsin, at Green Bay, and went on to build 20 more. He evangelized and baptized over 1500 Indians. On July 6, 1993 Pope John Paul II declared the heroic virtue of Samuel Mazzuchelli, conferring on him the title Venerable. Father Mazzuchelli’s heroic and Christlike witness cannot not fail to inspire today’s Catholic readers for the New Evangelization. Some of the most difficult religious problems of our time were recognized by Mazzuchelli in their initial stages. He wrote: “One in whose heart burns the flame of pure love for Truth, and who understands the position of our holy Religion in America cannot but tremble for its future.” However, the missionary’s inspiring stories, his confidence in Divine Providence and joyfully serene determination will have an entirely encouraging effect on the reader. And if you have ever felt that pious books do not have enough bears and wolves, or enough of Holy Mass celebrated beautifully and reverently in a wigwam erected in the forest for the occasion, or if Christianity had stopped seeming for you the adventure it truly is, this book will give joy! These “historical and edifying” memories were first published in Italian in 1844. The author was 37 and in the middle of his missionary work. Sr. Mary Benedicta Kennedy’s admirable 1915 translation is offered anew by the Father Mazzuchelli Society, a grassroots lay initiative. This book includes reduced versions of the original maps! The Dominican Sisters of Sinsinawa are one of the largest women’s religious congregations in the United States. They are also noted for many members’ dissent against Catholic teaching. The hope motivating this Report is for reform and improvement of the relationship of the Sinsinawa Dominican Sisters with the Catholic Church. Its goal is true peace and happiness. This book was created without any intent to profit. 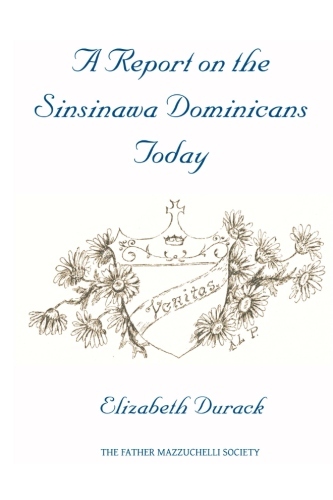 A Report on the Sinsinawa Dominicans Today is the work of a 35 year old laywoman in Madison, WI. Through experiences in her own local area, she became concerned that the problems risked serious harm to people and to the Church. After stumbling upon the public archive of a Sinsinawa Dominican email discussion list she prayed before choosing to do months of research to try to answer questions about what was going on and how it got that way. No sanction for this project has been sought from any cleric or ecclesiastical authority, and none has been received. 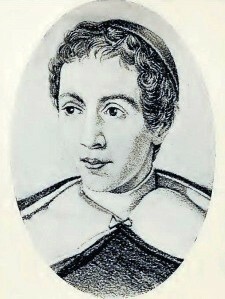 The author was advised and helped in her work by other concerned laypeople who form the core group of the Father Mazzuchelli Society, an organization she has formed which aims to encourage the New Evangelization through the witness of this holy missionary priest who evangelized the Upper Midwest in frontier times and founded the Dominican Sisters of Sinsinawa.